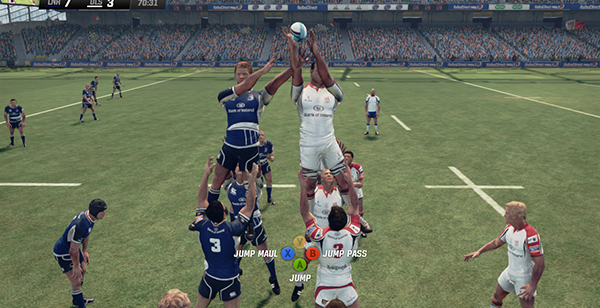 Hitari: Rugby Challenge 2 - Is it able to compete with Pro Evolution or FIFA? 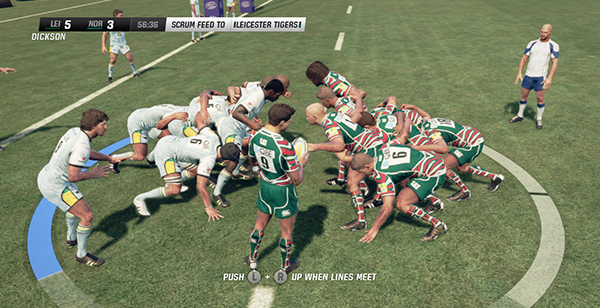 Rugby Challenge 2 - Is it able to compete with Pro Evolution or FIFA? I know Rugby and Soccer (football) are like apples and oranges and it would be unfair to compare them too much. But with rugby becoming more popular now than ever, could this finally be the time a rugby video game challenges the soccer game spotlight? There is no doubt for me (and most of the critics that have reviewed it) that Rugby Challenge 2 is one of the few truly decent rugby video games. The graphics are crisp, there are enough game modes to keep you occupied for months and even more importantly, the game play is credibly faithful to the actual sport. It maybe the first rugby game where purists could appreciate the sport mechanics (kicking, passing, tackling are incredibly detailed and practical etc..). However, is this enough to take on the powerhouse of soccer video games? Unfortunately it seems to me that this doesn't boil down to a battle of video games, but a battle of the sports popularity. What will always give the Pro Evos and FIFAs the edge over the Rugby Challenges, is soccer's (football's) immense global popularity. FIFA will always have the best gameplay as sports games go. No chance in hell, Madden destroys FIFA graphically.